Q. What type of insurance does SCC accept? A. We will verify coverage on all insurance policies. Coverage is policy specific. We DO accept Medicare. Q. Will you file insurance on my behalf? A. Yes, we will gladly file your insurance on your behalf. Q. What percentage does insurance typically pay? A. Insurance plans vary from 100% to no coverage at all. However, most insurance companies pay at least a portion of the care. As part of our new patient process, we explain the details of your benefit ensuring you fully understand any financial obligations you may have. Q. How long and how often would I have to be seen to fix a herniated disc? A. There are varying levels of disc lesions that require different levels of treatment. Typically, the disc lesion is only one factor; our treatments address the issues that caused the disc to degenerate or become herniated in the first place. Each treatment runs about an hour. An average treatment plan is between 24 – 42 treatments, performed over a period of 3 – 6 months. Patients with disc lesions typically experience significant relief within 2-3 weeks. Q. I had surgery last year to fuse a disc in my neck. The surgery provided some relief, but the pain is returning. Can your treatments for bulging discs still help me? A. Yes, we treat patients who have had back surgery. What you are describing is sometimes known as failed back surgery, which is common, unfortunately. Depending on the type of surgery, there is an excellent chance we can help you. We address the underlying cause of your disc lesion, as well as help the disc itself. In surgeries where the spine has been fused, we work extensively with the soft tissue pain. In surgeries such as a microdiscectomy where the disc is still present, we can help the disc itself. Q. What kind of results does your clinic see using decompression machines and other treatments for slipped discs? Does it require multiple treatments? A. Decompression has been proven to reduce pain in 86 percent of disc lesion cases. However, decompression is only part of the only solution. Another part of the solution is addressing the cause of the disc problem, and in 97 percent of the cases, it is musculoskeletal in nature. Yes, multiple treatments are required to get lasting results. Check out our Spinal Decompression page. Q. I have had chronic headaches for the past five years. I have seen several chiropractors in my area with no luck and I’m wondering what sets your clinic apart, that I should travel three hours to get to your office? A. SCC uses the most progressive technologies available and our doctors are leaders in their field. We address the cause of your headache. Often the cause is muscular and structural in nature, as well as neurological. Addressing just one of these components results in limited relief. We address all three. Our methods can transform your posture and biomechanics, which significantly reduces your headaches. 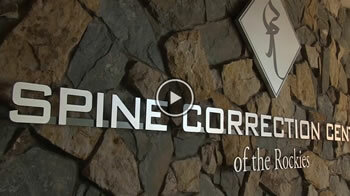 Spine Correction Center patients travel from all over the United States and the world for our innovative treatments. The good news is that at the end of the program, you will have tools to continue to improve your condition on your own. Q. My headaches and dizzy spells are starting to impair my lifestyle and I have heard that you can help. What does your treatment entail and will I have to undergo treatment with you forever to keep my headaches under control? A. Research shows that many headaches and dizzy spells are cervicogenic in nature, which means they come from the neck. The neck communicates with the brain to tell it where you are in space. (For example, you can close your eyes and bend your finger and you know that it is bent.) When things aren’t working right, the neck is unable to communicate well with the brain, resulting in dizziness. Headaches are often a result of musculoskeletal problems coming from the neck. After undergoing SCC’s corrective program, you can maintain your condition on your own with home rehab equipment we provide for you as part of your care plan. Q. I have chronic migraines and the only pain relief I get is with prescription drugs. I would love to find a treatment that would allow me pain relief without the medicine. Can you help? A. Migraine headaches are very painful and affect a significant amount of our population. Many migraines are due to blood supply problems to the back of the brain from the artery that runs along the back of the neck. This artery’s inflammation point is located at the base of the skull in a triangle of muscles. When these muscles are inflamed (or in spasm) because of damage to the neck, they can create and cause headaches. By changing the shape of your cervical spine as well as how your skull is balanced on your neck, we can significantly affect migraine headaches. We have very high success rates with migraine headaches, because we focus on the cause of the headaches. Q. How old do my children need to be to receive treatments? A. We treat patients from just days old to 92 years old. Q. Can I still come in for treatments if I am pregnant? A. Yes, many patients come to us for relief with various pregnancy symptoms. Some research indicates that having treatments during pregnancy may reduce the labor times in half. Q. I would like to come in to see your doctors for a consultation. Do I get an adjustment my first visit? What should I expect? A. You can expect a two-visit new patient process where we thoroughly assess your condition and determine how your body will respond to our treatment programs. On your initial visit, you receive a thorough case history and a physical examination by our medical staff and a chiropractor. If needed, we take an initial set of x-rays to help us visualize your spine in its three dimensions to see where stress points may be in your spinal system. Then, on your second visit, the doctor reviews your exam findings with you. If our treatment program proves to be a good match for your condition, we outline a treatment plan, as well as the details of your insurance coverage. You also begin care on this day. Check out our New Patient page. Q. Can I just come in for an adjustment when I am hurting? A. In most cases, an occasional treatment does little to fix the cause of the problem. Once our patients have been through our corrective program, there are times when an occasional treatment might be helpful; however, we would address this on a case-by-case basis. Q. My mother is in her early 70s and has had scoliosis all her life. She is just now having pain and discomfort from her back. Can you still help her? Would the treatments be painful? A. It is highly likely we can positively affect her scoliosis and reduce her pain levels. We specialize in non-invasive, non-surgical, treatment of scoliosis and are proud of our high success rate. Most patients report having a little bit of athletic-type soreness during the first 7-10 days of treatment and we have designed a treatment schedule to allow for healing times between treatments. Q. I am a student and I have scoliosis. After sitting in class and studying all day I find that I get stiff and have a lot of pain that I did not have before school started. Would I be able to get this taken care of without falling behind in school? A. Yes, one of the advantages of our treatment program is that it allows you to continue day-to-day life without interruption. Many of our patients are students, and are able to sit in class and study all day without missing a beat. Q. I have a 12-year old daughter who was recently diagnosed with scoliosis. She is very self-conscious of the condition and we would like to avoid surgery. Should we start with a back brace and see if it helps before doing more radical treatments? A. The effectiveness of bracing is highly debated in the medical community. Many countries, including Ireland and parts of Europe, have discontinued the practice of bracing. Bracing can cause psychological scarring because of the social implications of the brace—school is hard enough for kids without having to wear a brace. We use cutting-edge physical medicine to change curvatures from a very mild magnitude 10-12 degrees up to a magnitude 86 degrees. We feel that placing a child in a brace that probably won’t have a measurable impact is not the best treatment option. There are simple interventions we can do now to prevent progression of the curvature. Please do not wait, call us today for a consultation. Check out our Early Stage Scoliosis Treatment (ESST) page. Q. I am 45 years old and have had chronic neck pain for the past 10 years. I have had surgery, taken medication, seen massage therapists, and chiropractors, and so far nothing has fixed the problem. I get temporary relief, but it always returns. Can your clinic do anything different to fix me? A. Yes, we offer a combination of physical therapy and spinal manipulation along with other progressive technologies, which is why we succeed where others have failed. Our innovative two-day new patient process helps us determine if Spine Correction Center is the best option for your condition; if not, we will refer you to someone who is. We have several patients who have suffered like you, tried numerous therapies, and have now found relief.